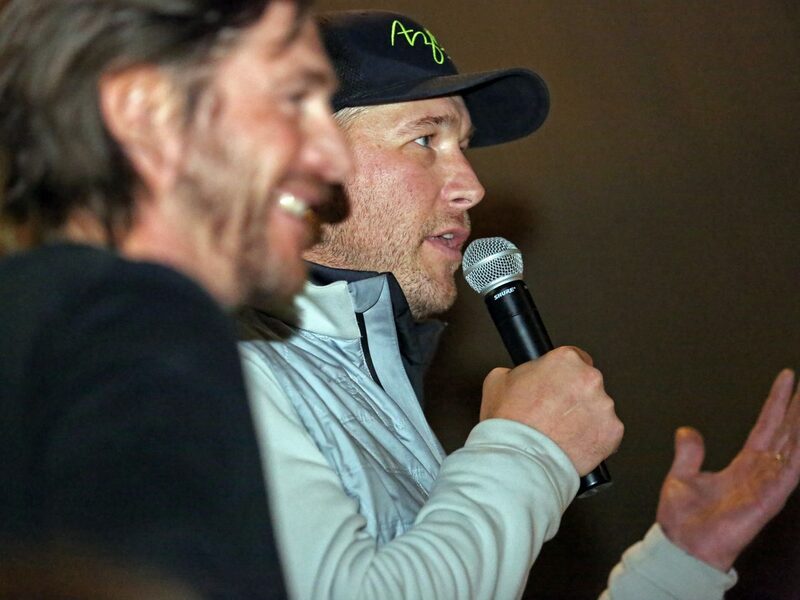 Silverthorne resident Chris Corning of United States chats with friends during the U.S. Grand Prix event Sunday, Dec. 10, at Copper Mountain. Silverthorne resident Chris Corning of United States during the U.S. Grand Prix event Sunday, Dec. 10, at Copper Mountain. Rene Rinnekangas takes a fall in the big air final during the U.S. Grand Prix event Sunday, Dec. 10, at Copper Mountain. 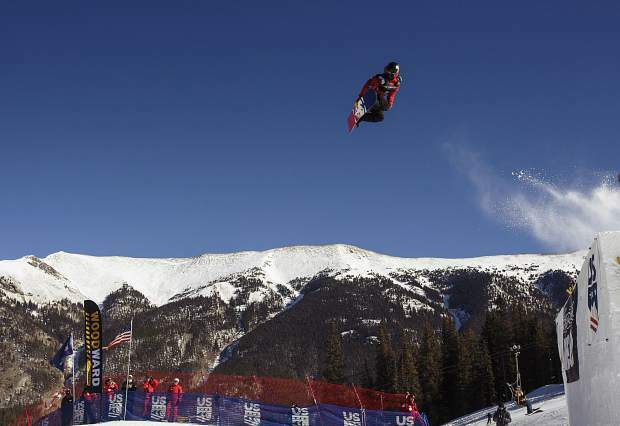 Silverthorne resident Chris Corning of United States competes in the big air final during the U.S. Grand Prix event Sunday, Dec. 10, at Copper Mountain. Silje Noredal of Norway waves to the crowed following her run in the big air final during the U.S. Grand Prix event Sunday, Dec. 10, at Copper Mountain. Mons Roisland of Norway following his run in the big air final during the U.S. Grand Prix event Sunday, Dec. 10, at Copper Mountain. 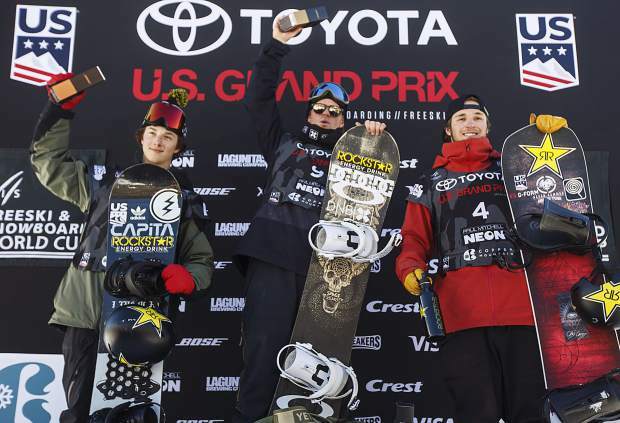 Chandler Hunt, Mons Roisland, and Chris Corning at the podium following the big air final the U.S. Grand Prix event Sunday, Dec. 10, at Copper Mountain. Mons Roisland of Norway raise his arms following his run in the big air final during the U.S. Grand Prix event Sunday, Dec. 10, at Copper Mountain. 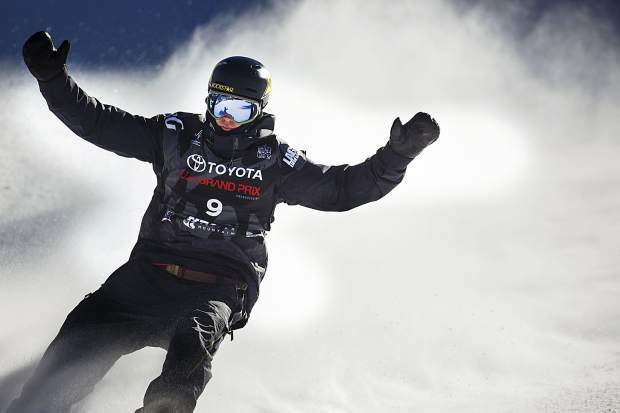 A year after he broke his foot on the last practice run at this same U.S. Grand Prix event at Copper Mountain Resort, it seemed to be déjà vu all over again on Sunday for Chris Corning of Silverthorne. 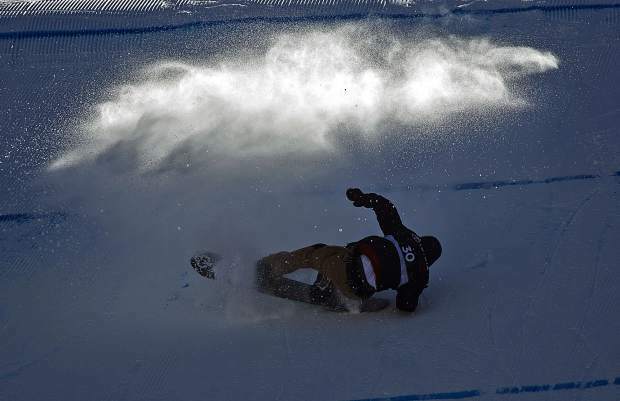 During the Sunday morning practice run for the Grand Prix snowboard big air final at Copper, the goofy-stance riding Corning fell and injured his left hip and lower back. 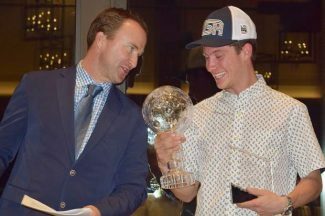 Coveting a podium finish to bolster his hopes to qualify for the first ever Olympic Big Air competition in Pyeongchang, South Korea in two months, dropping out was not an option for the 18-year-old Corning. Corning initially, when fully healthy, had a bit of a different initial approach and plan for Sunday’s Big Air finals. Beat up and struggling to rotate as efficiently as he wanted to, Corning’s plans changed: He’d aim for two runs strong enough to get him on the podium. And if he could pull it off in the first two runs, he’d be able to rest his body and sit out a third run. Oh, and the snowboarder known for his compact and explosive power and amplitude would have to go higher. Corning went big enough to take second place Sunday despite the shooting pain down his left core. The Grand Prix championship was won by Mons Roisland of Norway, who soared to a 93.50 on his first run to take control of the final before winning it with a total score of 182.75. Corning’s fellow American Chandler Hunt of California scored 159.00 to take third place. Corning registered a second place finish thanks to his first two runs, which totaled up for a score of 177.25. And it was his second run and its impressive judges’ tally of 91.50 that carried the day. He executed it despite the pain on takeoff and while landing. Corning sent the pseudo-home crowd at Copper’s Main Vein course into a frenzy when he landed that second run, a backside, triple cork 14. When he landed it, a certain trio in the first row of the assembled crowd at the base of the jump erupted in applause. 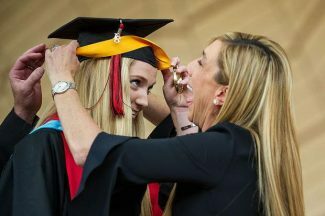 It was Corning’s father Brook, mother Laura and friend T.J. Tropsa of Silverthorne. Well aware of Chris’ drive to make the Olympic team and perform well in Pyeongchang, mom and dad knew how much sticking that landing meant to their son, especially considering the day’s events. “That was very exciting,” Brook Corning said moments after. “It was a big deal. Got him all the way up from fifth up to second. It was huge. 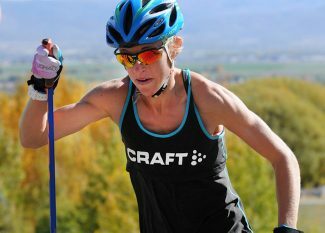 “A huge run,” Laura echoed. Then, Corning’s Silverthorne snowboarding buddy shared some free advice. “Steezy” and “massive” were the two words Laura used to describe her son’s smooth snowboarding style, one he provided a glimpse of Sunday despite the sudden injury. Corning’s fellow second place finisher on the day, Big Air snowboarder Julia Marino of Connecticut, walked away in awe of Corning’s performance as well. In the ladies competition, Marino finished behind Grand Prix champion Reira Iwabuchi of Japan (169.25) and ahead of third place finisher Silje Norendal of Norway (156.75). 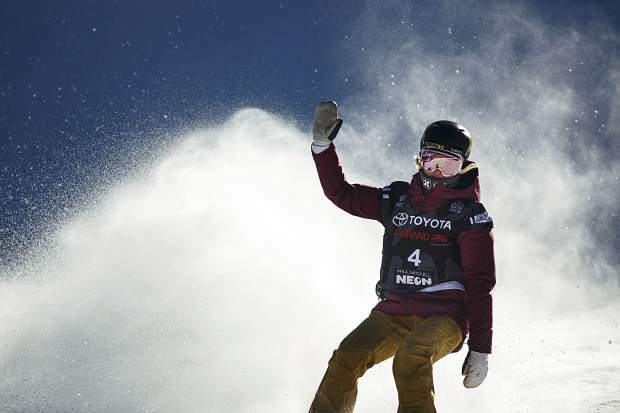 Sunday’s second place finish was massive for Corning’s Olympic hopes as he previously had yet to podium in a Big Air Olympic qualifying event. 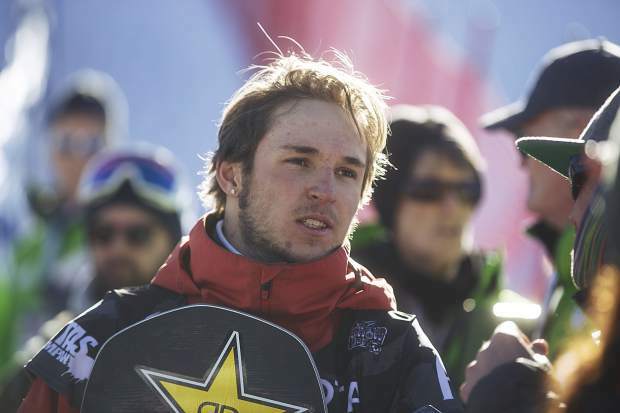 The injury at Copper last year was partially to blame, as it affected his season leading into the first Olympic qualifier at Mammoth Mountain in California last winter. 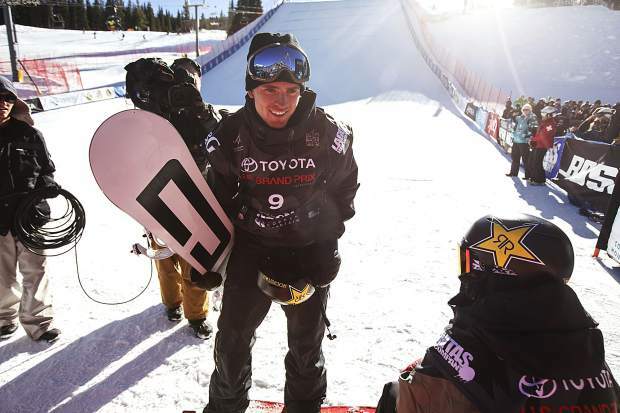 In order to qualify for the Olympic team via the objective criteria, athletes like Corning and Hunt needed to have at least one podium finish against the competition field in the selection events, such as this week’s competition at Copper. 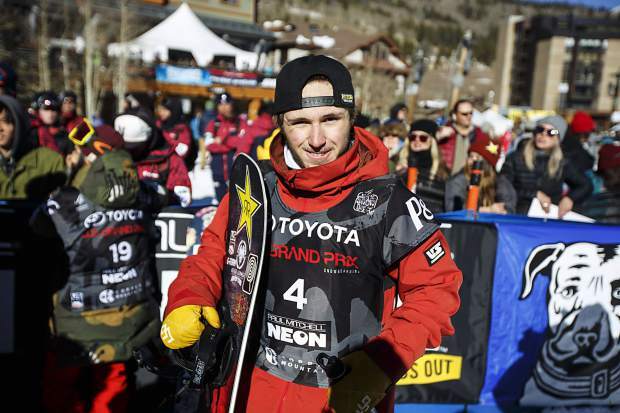 The U.S. slopestyle and big air team will de determined through five selection events, the final three of which take place at the Breckenridge Dew Tour this coming week, the Aspen Grand Prix from Jan. 10-13 and the return to the Mammoth Grand Prix from Jan. 17-20, a year after the first qualifier event. If three or fewer U.S. athletes meet the criteria, those athletes will automatically be named to the Olympic team. If four or more athletes have at least one podium finish, then those athletes will be assigned ranking points based on their two best results from the selection events. And though he wanted more on Sunday, Corning left Copper content.